Just a superb video of one of my favourite subjects anywhere. I highly recommend subscribing to fmnut, he’s posting some really amazing video footage and it’s a real treat just picking things off at random from his channel. Lots to inspire here. The photo is just so rich and of a resolution high enough to really focus in on the details. There are trains everywhere in this shot! I am convinced I can also see an MU train on one of the Central Station approach tracks, though that may be more my wanting to see it and it may just be coaches. 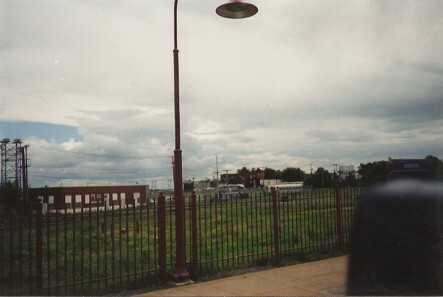 The photo is actually an overlay of a Googlemap so you can pan around and it wasn’t long before I defected back to my favourite stomping grounds at Windsor Station. I’ll stop rambling now. It’s time to check out the site and see what else is in there. I can’t wait. So much for getting off to bed! Thanks Eric. This is really cool! CN Electrics at Mount Royal, Quebec, GE Box Cabs, too! More really great CN Montreal electric action in this YouTube video. Mostly MU cars but the boxcabs do make some appearances. Around the two minute mark we see an RDC being towed by a pair of boxcabs. This is the third YouTube video featuring CN Montreal electrics I’ve found and I’m sure there is more footage out there. Sure would be cool to see more. Today’s mail brought my latest commuter paper addition in the form of CN Employee Timetable #3 for October 29, 1972. It’s cool that it’s dated for my birthday (if for the wrong year though) and neater still in that it incudes a lot of really great detail on CN’s electric operations in Montreal. I’ve only just had a few minutes to look through it but it’s been a great investment. Excellent service and very reasonable prices. He really knows the hobby and is a pleasure to deal with. Over the past couple of days I’ve been posting shots taken of that AMT commuter train from July 22nd. I found a shot I took while I was actually riding the train and thought I’d post it here. When I first looked at it I thought it was just one of those that hadn’t worked out – one of the light standard on the platform. Looking closer I realised what it was and then I remembered this was actually on the train and I had seen one of AMT GP’s in the layover yard parked with one of the ex-GO single-level coaches. OK, I’m going to give this N scale thing another go, and at the same time, try Shapeways. IHP now has a store on Shapeways selling N scale items. You can see it here: http://www.shapeway s.com/shops/ ihphobby. You know how it works: you see a design you like, you order it from the Shapeways site, they print it out, and it arrives at your doorstep in a few weeks. 3D printing is still not yet perfect, as we have been discussing here, but N scale might be a good first-time test for some of these items that have been sitting on my computer for the better part of a year. 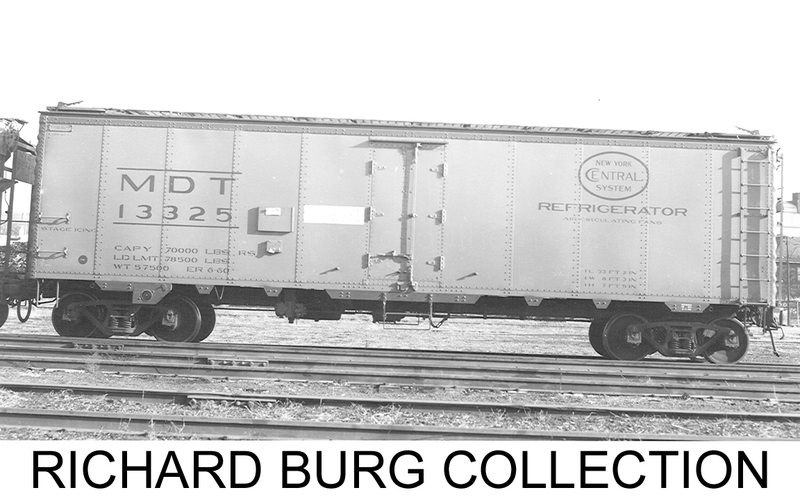 First items are a Budd RDC-1 Reading Version shell, and a Budd RDC-9 shell. They were made using original Budd blueprints and info. Both RDCs represent Phase II (or ‘New Look’, or ‘Modernized’ depending on your source), and have never been modeled in N scale before. The Reading cars have details specific to that road’s 12 RDCs delivered in 1962 (the last RDCs built) including larger end windows, open pilots and no sand filler hatches on the sides. The RDC-9 was built for the B&M in a batch of 30 units. A few later went to the CN. As per the prototype, the shell has no end windows or pilots and since they had only one engine, the body details are present and placed accordingly. Both shells include stepwells. The shells are not designed for any specific mechanism, but obviously, RDC drives from Con-Cor or Kato would be obvious choices. Both shells come with stepwells. Also available for you electric traction fans, for the first time in any scale, are the MU cars built by Canadian Car & Foundry and used by CN in Montreal’s Deux Montaignes electric commuter service from the 1950s to 1995. A motor and trailer shell are available. The motor car has roof walks separate. The trailer has a floor with some underbody on it. Both shells have diaphragms, pilots and stepwells. The shells can be printed in a variety of materials which have different prices. Check them out. More shells are coming, some might even be in HO. So, we’ll see how things go like this. It will be interesting making a product without benefit of casting or tooling. I’ve seen pictures of Mike’s resin kits before and they look very nice and I’ve heard great things about his work. I had no idea he was working on these and I’m very keen to order a pair. I really didn’t enjoy shipping things from Shapeways to my address here in Canada but this is just too tempting to really ignore. Think I’ll start with a cab and a trailer and see how it goes. So check out the models on Shapeways. Send Mike a thank you email and now let’s get started on some seventies-era Canadian models. This sure is fun.